Quick history of luggage: folks used to cram entire wardrobes into giant trunks on ocean liners, then suitcases were invented for plane travel, and eventually someone added wheels and a telescoping handle so you didn’t have to carry your bag the whole way. 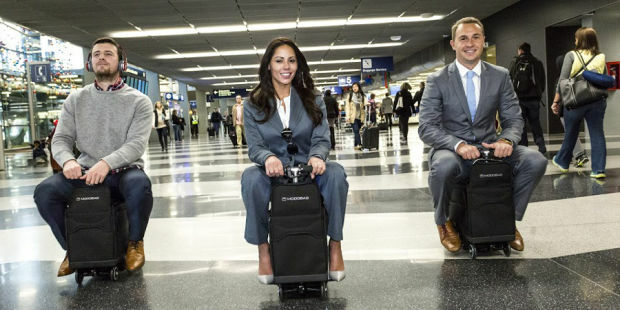 But now you don’t even have to roll your suitcase. 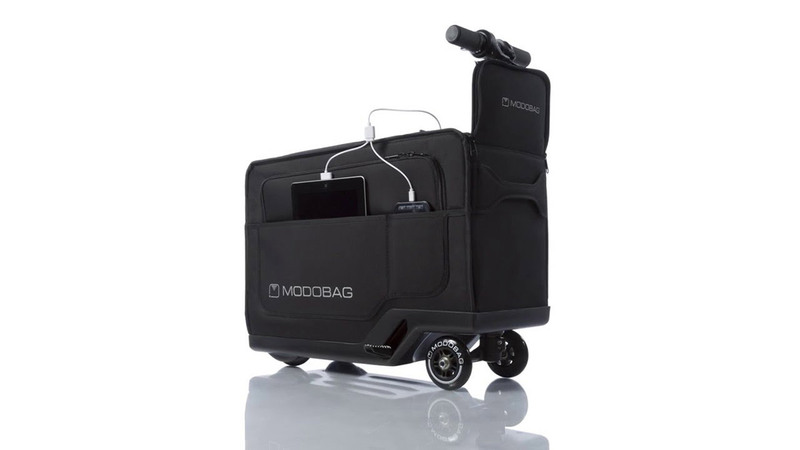 You can ride the motorized Modobag at up to 8 miles per hour, a faster, freakier and considerably more fun alternative to schlepping on foot. But it’s not just enjoyably silly-looking, it actually comes with some cool features. Aside from the fact that quick release foot pegs, a memory foam seat, telescoping handlebars and a thumb-triggered throttle allow you to zip along on it, the amazing thing about this bag is that they’ve efficiently squeezed all that functionality into it and still retained over 80% of its capacity. Other key features include an optional cellular-based tracking app so you always know where it is, dual USB chargers to keep your devices juiced as you go, and the ability to quick charge the suitcase battery up to 80% in just 15 minutes, perfect for short layovers. 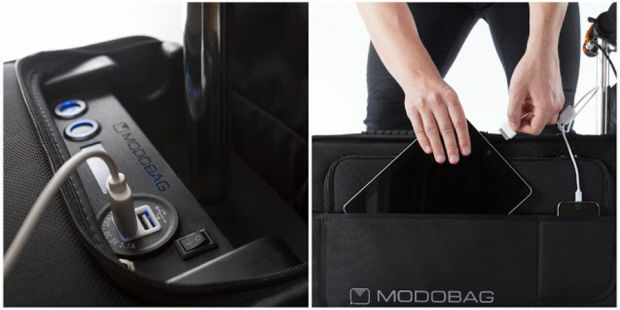 Already about halfway to meeting its goal, Modobag just launched on Indiegogo, so you can still get in on the super early bird: $995, a generous 33% off the planned retail price.